Single Phase Power Solutions has introduced single phase pump solutions which do not require a phase converter or Variable Frequency Drive (VFD). 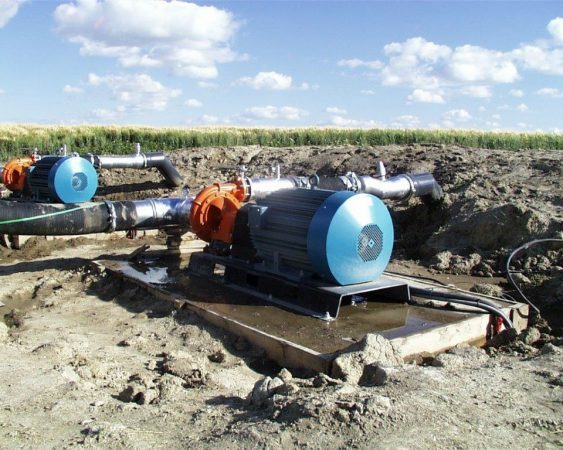 The company incorporates their Belle Single-Phase Motor which uses Written-Pole technology to deliver up to 100 hp to power standard suction end centrifugal pumps, rotary gear pumps, and turbine pumps in both horizontal and vertical configurations. Available in ratings from 30 – 100 hp, Belle Motors are ideal for many industrial, agricultural, mining, municipal, and oil & gas application. In addition to pumps, they are ideal for compressors, injection wells, blowers, fans, dryers, water & wastewater processing and more. Single Phase Power Solutions manufactures the world’s only large horsepower single phase motor. Their use of patented Written-Pole technology delivers a robust and reliable solution for many agricultural, industrial, municipal, oil & gas, and emerging market applications requiring large horsepower motors. This capability frees customers from the restrictions of only having access to a single-phase power line. In addition to a full range of Belle Motors from 30 to 100 hp, Single-Phase Power Solutions also manufactures a 1-to-3 Power Source(tm) solution that generates clean, high-quality three-phase power from a single-phase line for packaged equipment requiring a three-phase power source.